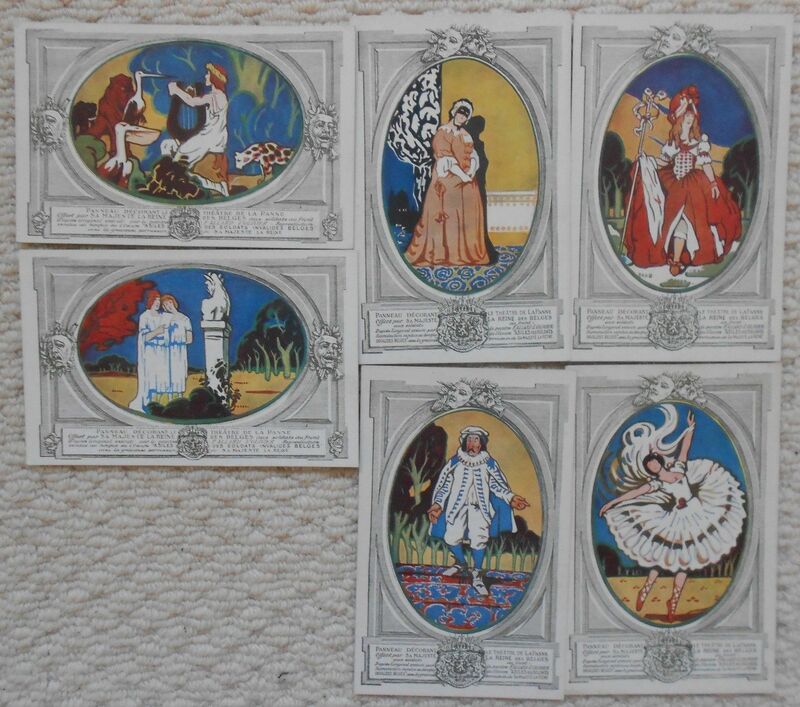 Six (6) Vintage 1920 Postcards from Belgium. The description on the front says Panneau Decorant Le Theatre De La Panne. The backs have no writing on them except the words Theatrical Set 6 8.00 which is written in pencil. Highly colorful set with some lovely images. The postcards measure 5.5" x 3.5" and are in Fine condition.